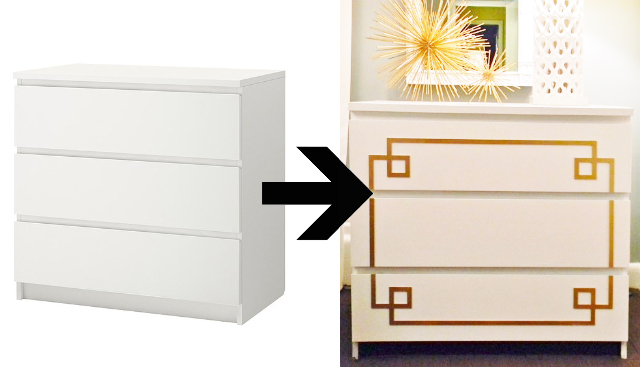 Ikea furniture is sleek, simple, basic, and perfect for customization! 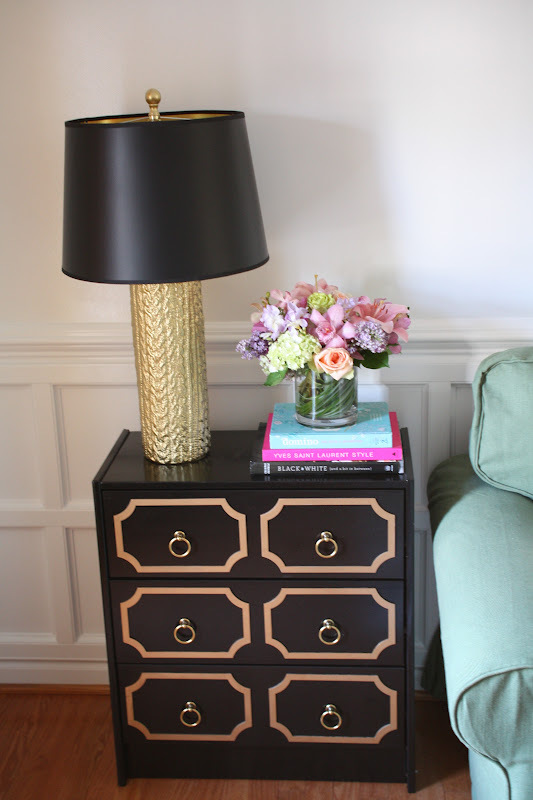 I’ve made over Ikea furniture in the past by adding mouldings, switching up hardware, and decoupaging, but lately I’ve been in a rut – what’s another way to easily glam up your furniture? This month, we are SO happy to have partnered with a clever, practical, and ingenious company called Overlays. 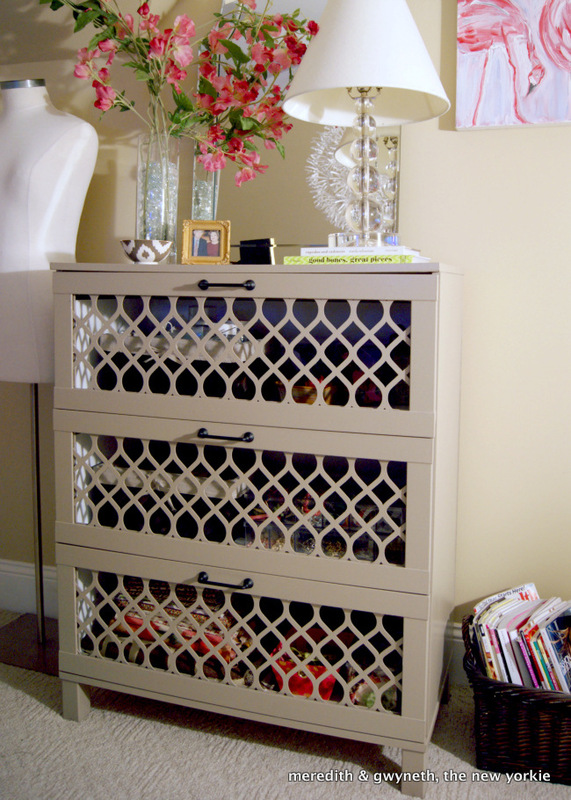 Overlays are the most easiest, and fun way to add instant glam and style to plain Ikea furniture. They are decorative, pre cut panels made to fit specifically Ikea furniture and can be easily attached to furniture, walls, mirrors, and even glass! You most likely have one of the popular Ikea pieces such as MALM, RAST, or the BESTA that are looking a little plain and tired. 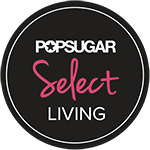 Pop over to the Overlays catalog and choose your furniture model and you can instantly buy one of the panels that will perfectly fit your piece! 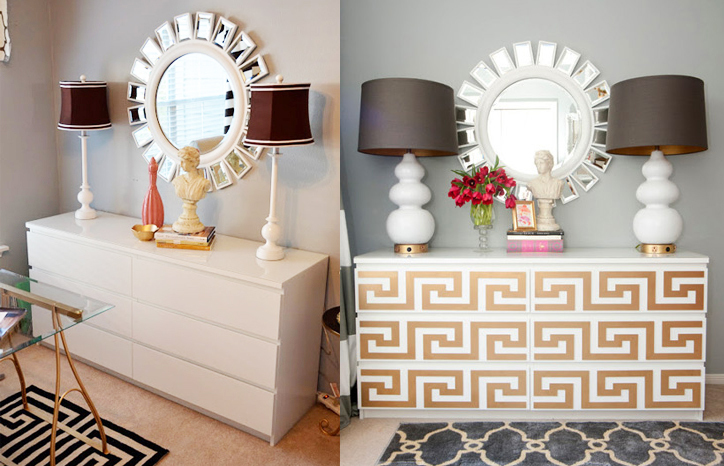 From the popular Greek key designs, Asian motifs, overlapping circles, and squares – there is definitely one to fit every decorating style. 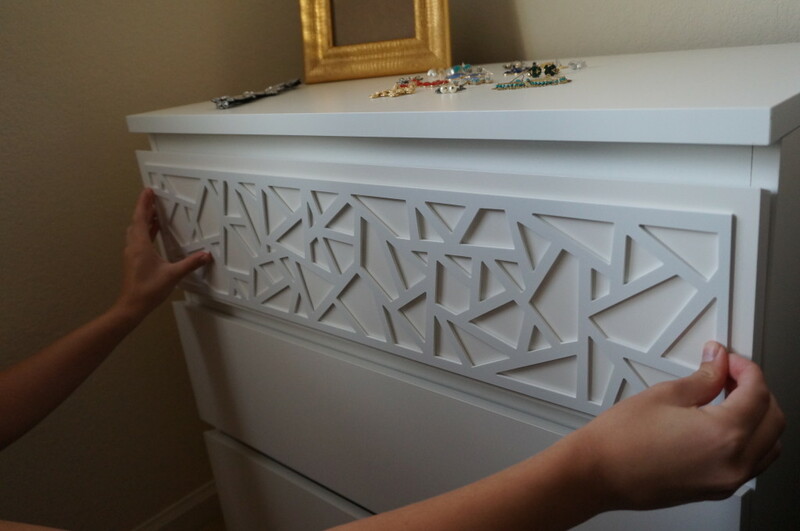 Applying Overlays is easy; just use your own choice of adhesive like wood glue or even a glue gun. We recommend Liquid Nails 100% Clear Adhesive for glass and mirrors, and Liquid Nails Perfect Glue on wood furniture. You can also use heavy-duty double-sided tape for a temporary solution! 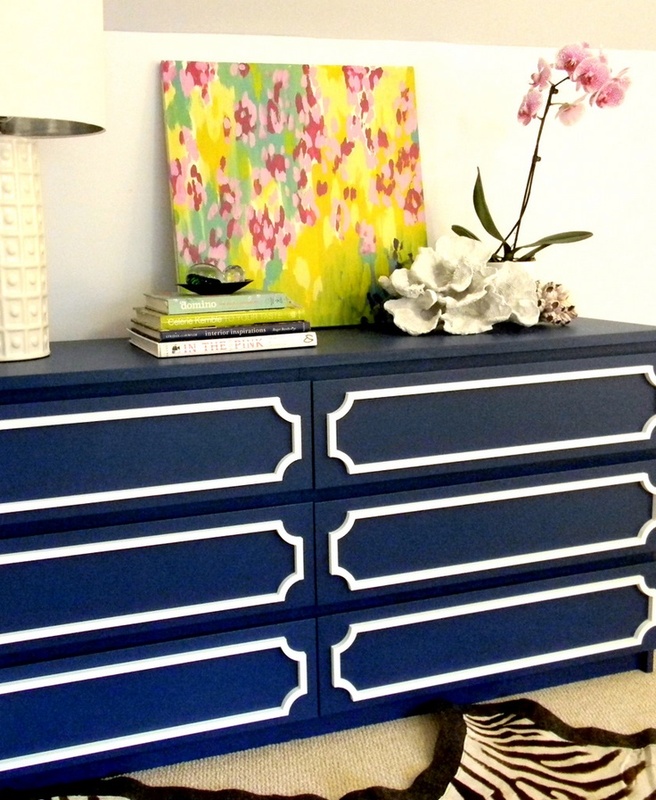 The opportunities for customization are really endless – you can paint your overlays any color you want and layer them on the fronts, sides, or even on the legs of furniture. 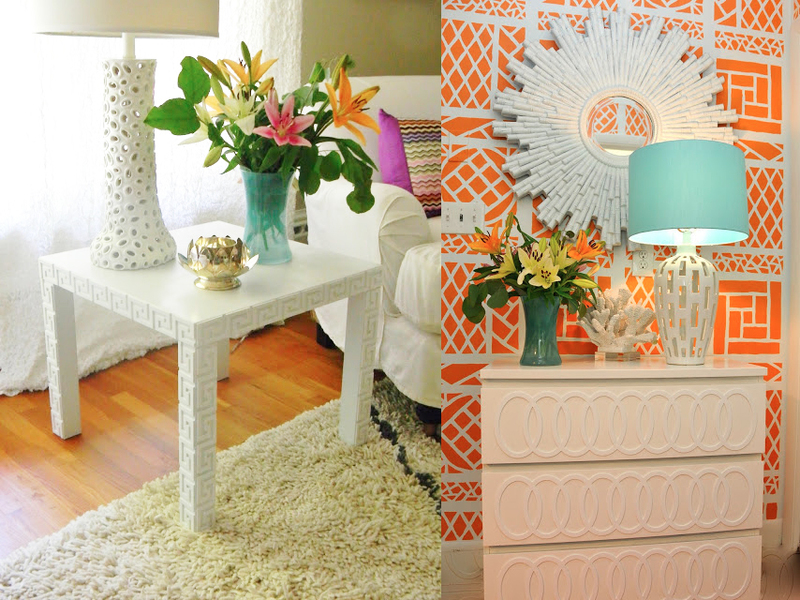 Head on over to the Overlay’s blog for tons of ideas and inspiration on how you can customize your furniture to give it it’s own unique look. 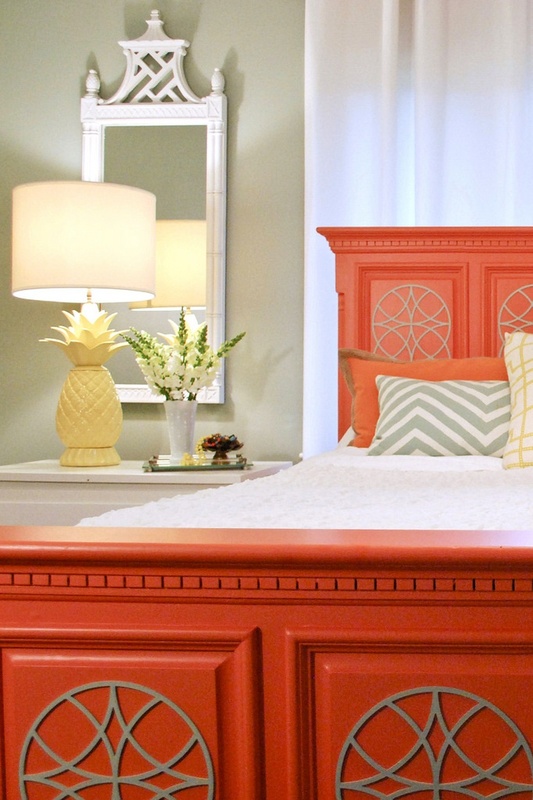 I’ll warn you though – their blog is addicting and will certainly give you the DIY makeover bug! 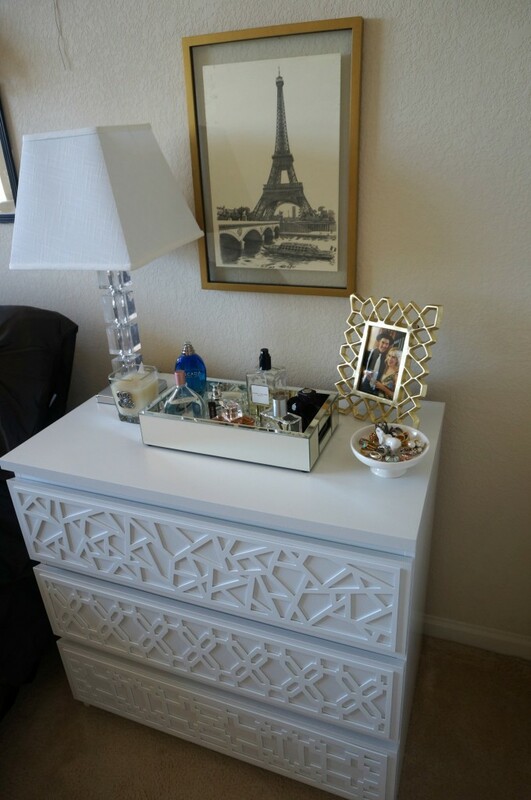 This entry was posted in DIY, Home Page Slider and tagged better decorating bible, blog, cheap, diy, dresser, easy, furniture, ideas, ikea hack, makeover, malm, overlays, rast. Bookmark the permalink. 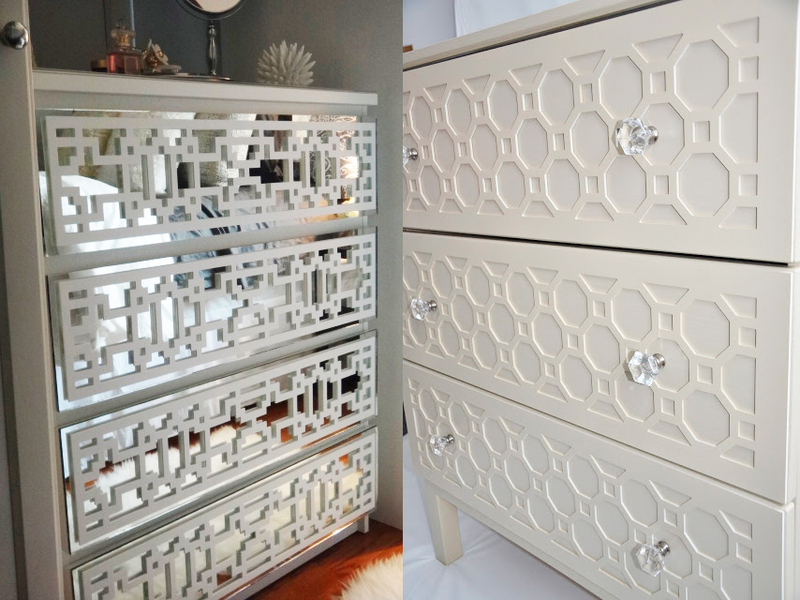 One Response to Add Instant Glam to Your Ikea Furniture Using Overlays! Looks like the possibilities are endless…fun! dolly.